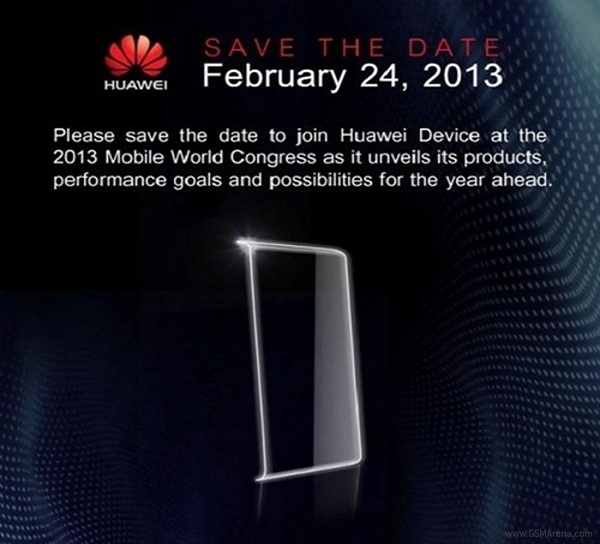 Huawei, the Chinese manufacturers are all set to launch its Ascend P2 at the upcoming Mobile World Congress. Surprisingly, Huawei might also launch the mini version of the P2 at the same event, according to a report from MyDrivers. The Ascend P2 mini will reportedly sport a 4" 720p display and according to few rumors, the smartphone will be powered by Android Jelly Bean. The mini version of the P2 is said to come out with a 8 megapixel camera and feature at least 1 GB of RAM and a dual-core processor. The report also suggests that, the Ascend P2 will come out with a very thin bezel and an 8.5mm thick body. As expected, Ascend P2 will be powered by Android 4.1 Jelly Bean and sport a 4.7" display. The device is also set to come out with a 13 megapixel rear camera along with a 1.8 GHz quad-core processor developed by Huawei. Hauwei Ascend P2 will sport 1GB and 2GB RAM variants and the smartphone will be made available in different back cover color combinations. Unfortunately, there is no information on the pricing yet, but the device is expected to carry a price tag cheaper than the Ascend D2. I don't get this "mini" trend. Why make a huge phone just to release a tiny edition with lesser hardware? Imagine the comfort of using a 3.2" Galaxy Note II mini. Pointless. This is poised to become the best small phone.